Parents get to enjoy dinner, cocktails and adult conversation in the bar areas while the kids enjoy crafting with our dedicated team members as chaperones in the dining hall! 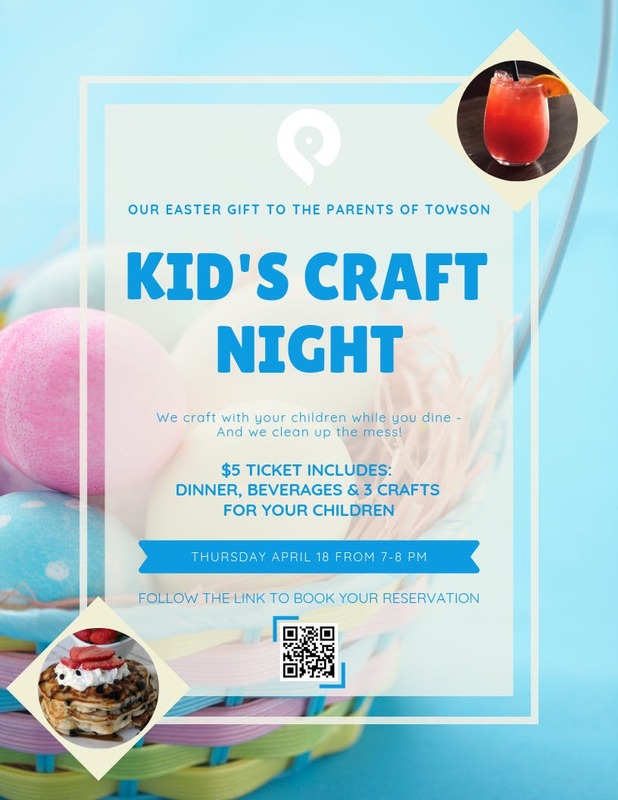 $5 ticket covers three crafts, beverage, and kids meal! Make sure to grab your tickets above to lock in your RSVP, space is limited and this event will sell out! ***PLEASE, only reserve seats/tickets for your children who are crafting so we can have an accurate headcount for crafts. Parents do not need to reserve a ticket for themselves. This event is for children 4 and over.